6A Memorisation and Recitation skills: Enables student to recite basic words, phrases and short sentences while looking at them. Reinforces 7A vocabulary and introduces 210 additional words. 3A Word building: Students learn fluency in reading sentences with polysyllabic words. Vocabulary from 7A – 4A is reinforced, with 181 additional words. Students copy words on their own (without tracing). 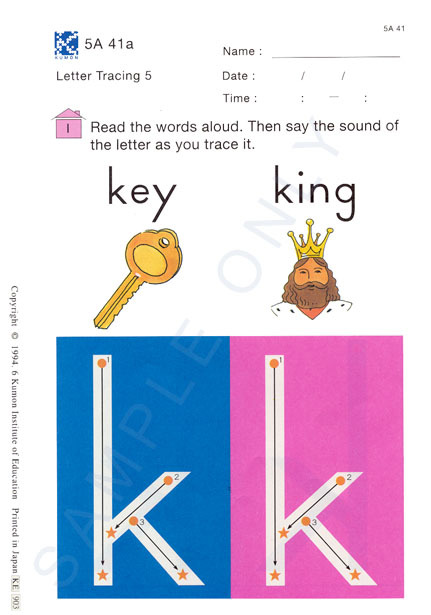 Vowels before ‘r’, vowel digraphs, diphthongs and long vowels are learnt. 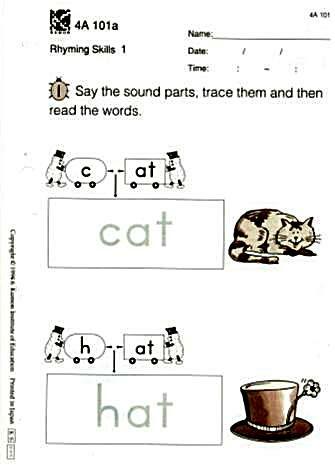 2A Word building: Consolidation of understanding of sound parts within words. Students learn the function of nouns, verbs and adjectives in given sentences. Students develop spelling skills further, including new 2A vocabulary. Students read passages of up to 50 words within one minute. 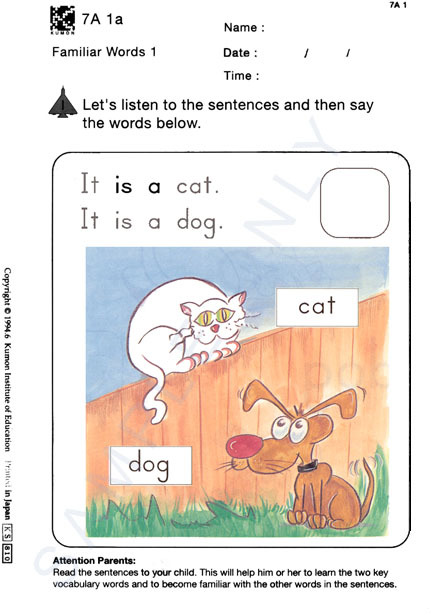 AI Students learn the structure of simple sentences, as well as basic expressions (conveying intention, attitude, or past, present or future time). Students develop their skills in completing simple sentences. Students read passages of 50 – 60 words within one minute. Students continue to develop their skills in reading and spelling new vocabulary introduced in Level AI (as they will do for all levels up to Level F). BII Students build on skills learnt in BI using passages from published books. Students learn how to find the meaning of words using contextual clues; analyse a passage through identification of, and comparing or contrasting, ideas and information; and read passages of up to 85 words within one minute. CI Students reinforce skills in identifying parts of speech and write longer sentences. Students expand their knowledge of expressions conveying past, present or future events to include progressive and perfect tenses; learn to use passive or active voice; read passages of up to 95 words within one minute. CII Students are enabled to understand the elements of statements using the ‘5Ws and 1H’ question words: who, what, why, where, when and how. 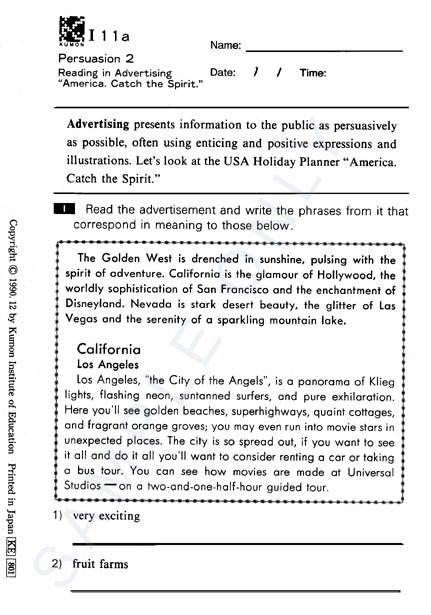 Students improve their reading comprehension ability and consolidate their understanding of ideas within a passage. Students read passages of up to 110 words within one minute. D Students deepen their understanding of parts of speech within simple, compound and complex sentences; reinforce their understanding of the active and passive voice, and learn to identify and use direct and indirect speech. 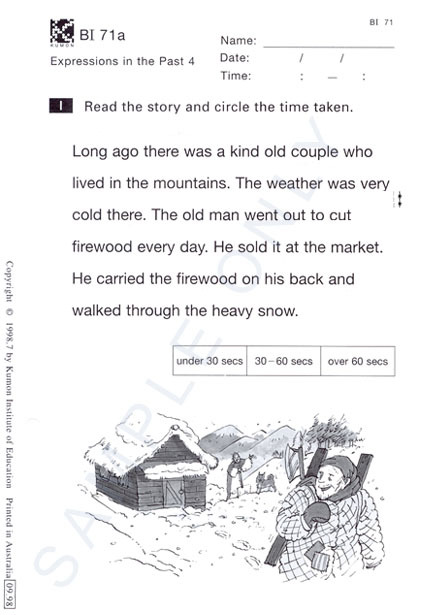 Students further develop reading ability by identifying main ideas of longer passages. E Students improve their reading ability through becoming familiar with how reasons, results and explanations are presented within passages, and understanding more of the logical flow and structure of passages. F Students reinforce their knowledge of sentence structure and read longer, more complex sentences; paraphrase and condense short passages; follow pronoun references and infer the meaning of key words and phrases in the passages; read longer passages quickly and precisely. 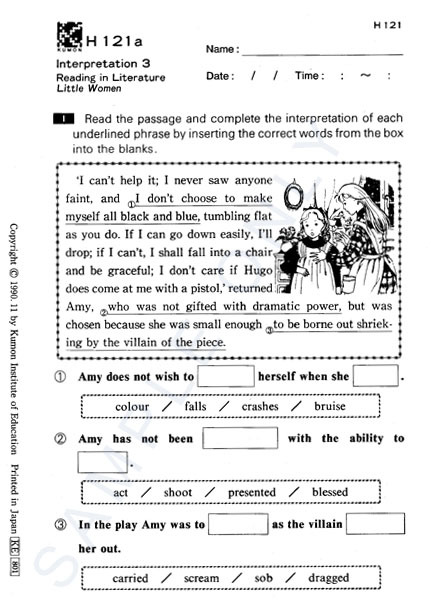 G Students locate specific ideas or key words within passages; identify central points, themes or story elements within a passage; further improve their reading ability through acquiring basic summarisation skills. J Students are introduced to critical reading exercises through writing comments on aspects of passages and analysing literary characters. Using the concept of subheadings, students learn how ideas are organised in a passage. K Students deepen their understanding of the elements of literature, such as plot, setting, atmosphere, irony and comedy to improve their ability to read critically. Students write comments about extracts from novels, textbooks, poetry and plays. L Students examine elements of figurative language: metaphors, similes and symbolic writing, in order to complete a critical reading of detailed passages. They develop the ability to express the meaning of phrases, sentences and passages in their own words.